Credit: Schmidt Ocean Institute. Download this image (JPG, 140 KB). 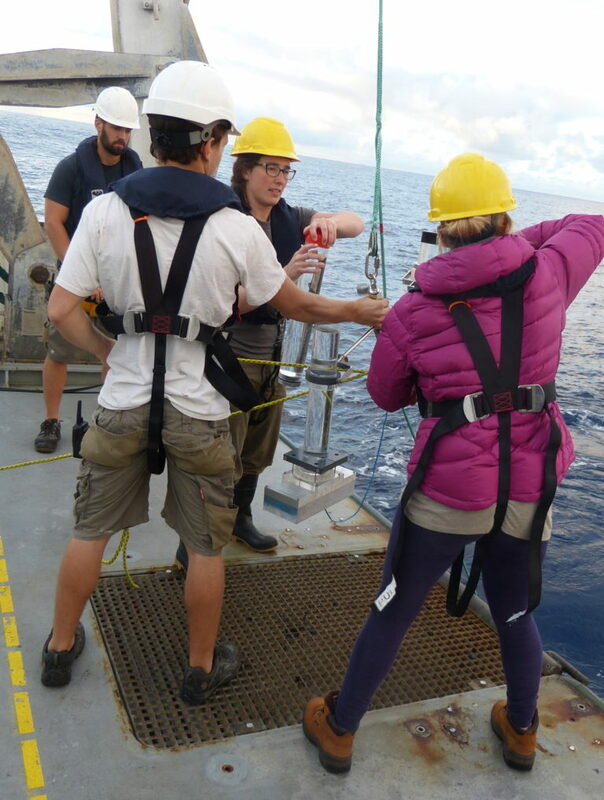 [28-Jan-17] Investigators prepare a sediment trap for deployment. The sediment trap collects sinking particles, including waste and dead organisms, so that their carbon content can be examined.